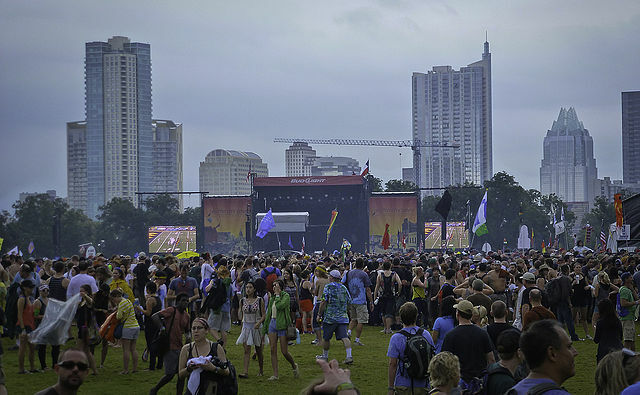 The Austin City Limits (ACL) Music Festival is an annual music festival held in Austin’s Zilker Park on two consecutive three-day weekends in early October. Inspired by the local PBS affiliate music series of the same name, the festival is produced by Austin-based C3 Presents, which also produces Lollapalooza. The reputation of the ACL television show that helped Austin to become widely known as the “Live Music Capital of the World” helped contribute to the success of the first festival in 2002. ACL has eight stages where musical groups from various genres perform for nearly half a million fans. The concerts continue from 10 AM to 10 PM on Friday, Saturday, and Sunday during the festival on various stages spread throughout the park. In addition to the music performances, there are food and drinks, an art market, a kids’ area for families, and other activities for attendees. The festival also has various water fill stations for patrons.